SkinFood is my foremost go to Korean brand when it comes to skincare. I appreciate how they have dedicated lines per skin type. 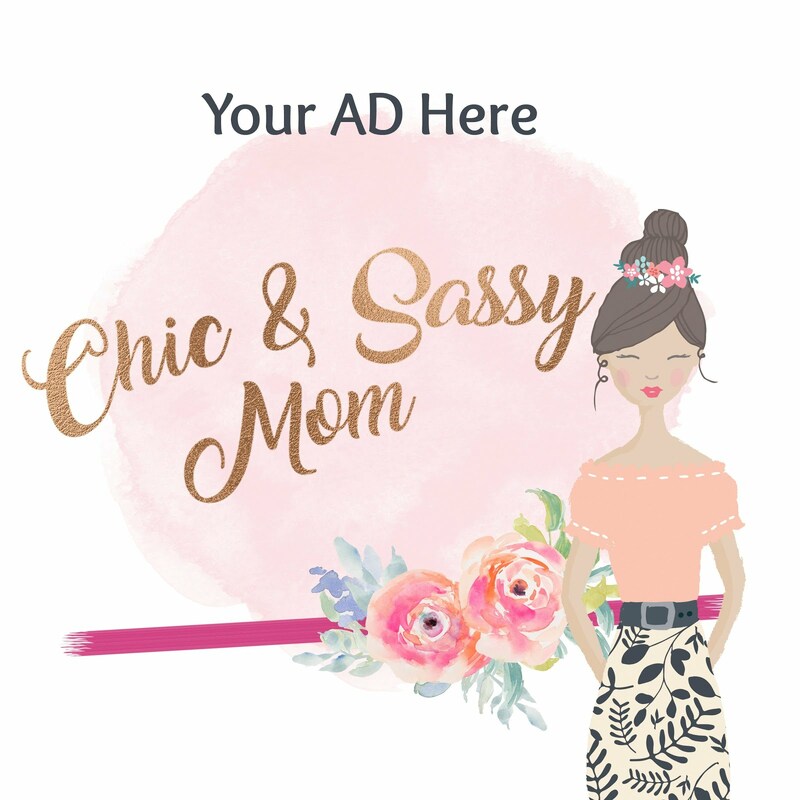 So it's not really one size fits all approach, hence, I usually tell my friends to visit the store, or check out the official site, or read reviews (:-D) for a more targeted skin care regimen. Although, I'm half hearted with their makeup lines, I still decided to give it a go. 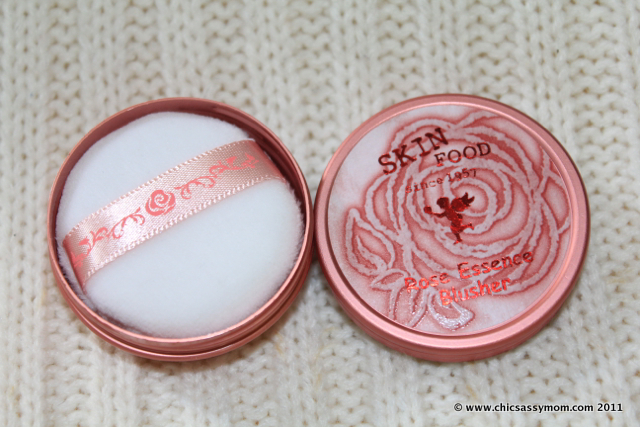 Included in my recent shopping haul is the Rose Essence Blusher. 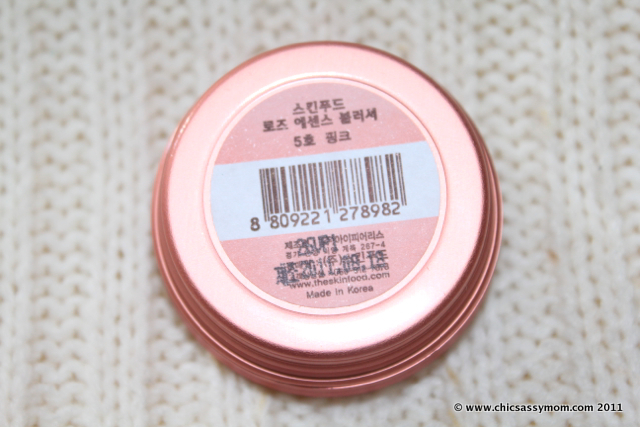 I'm going for a light pink, just for those usual lazy days when I just wanted to get a hint of natural blush. 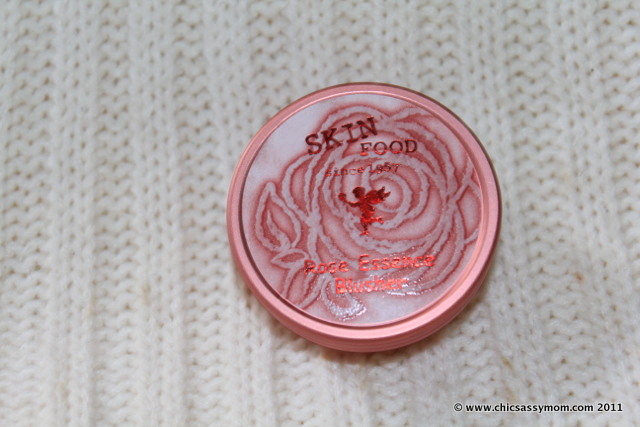 The SkinFood Rose Essence Blusher No. 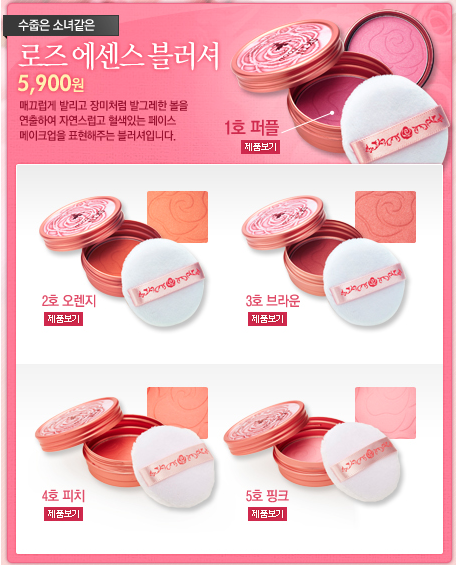 5 in Pink is "a blusher with a silky-smooth texture that creates natural-looking rosy cheeks." It comes in 6g and packed nicely in a handy reusable tin can. I got mine in No. 5. Other shades include No. 1 in Purple, No. 2 in Orange, No. 3 in Brown, No. 4 in Peach. Sells for 5,900++ KRW in Seoul. 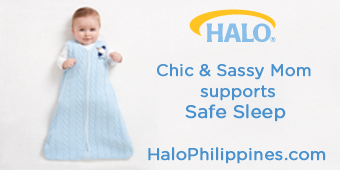 It includes a soft puff. But I don't really use most of the puff or brush that comes with them. I prefer to use my ever reliable Body Shop Retractable Blusher. Swatched. Leaves off a sheer almost pinkish white pigment. 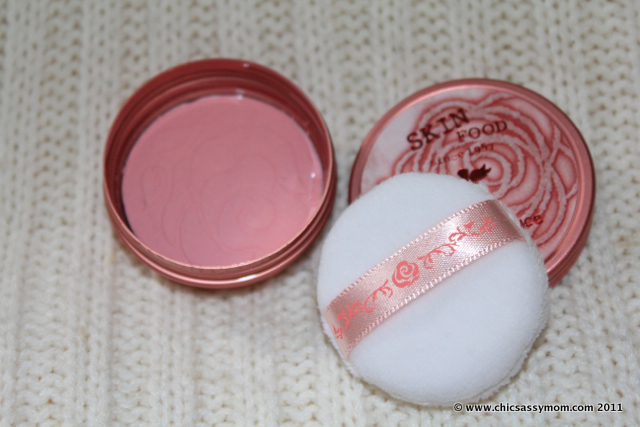 Most powdered form makeup of SkinFood are really fine, even micro fine, for that silky finish. 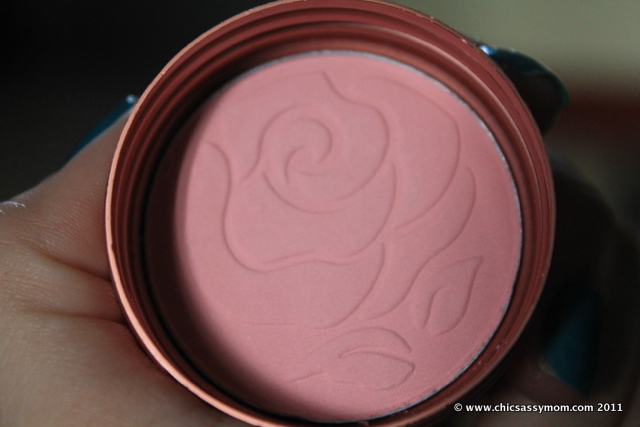 Fortunately, I'm not really out of a pink blush, this one is more of a nice to have. So it seems that I have to rely on my Cover Girl Instant Cheekbones 220 Purely Plum for more pronounced cheek colors. I should have taken it by heart my usual advise to visit the store, or to read on reviews before impulsively going for it. Anyhow, I'm lavishly applying it. 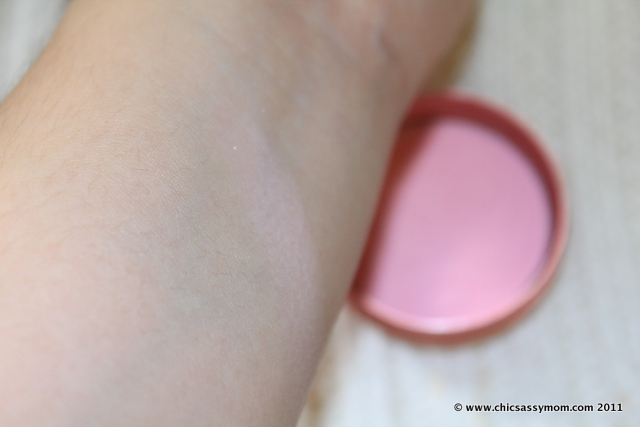 This is a blush that you'll be sure not too look clown-ish regardless how much you apply, which is my usual worry. It's remaining true to its "natural looking rosy cheeks". I really want to get a good makeup line from SkinFood too, just to really complete the whole positive experience with SkinFood. Any recommendations? Please do share. I love the color! 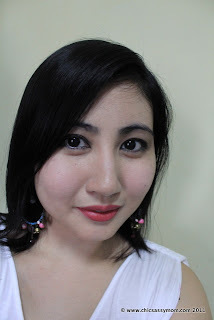 Sis, you look so Korean na :) pretty-pretty! This has a good lasting power. Perhaps half a day assuming I don't sweat or it's not as humid. Now that you've asked, I realized that I don't really retouch my cheeks.